An archive of past news. The new trailer for the second half of Doctor Who has just been unveiled at Comic Con, and it contains a couple of very quick shots of Danny! Watch the trailer and see the screencaps below! It has been confirmed today that Danny will be starring in Eran Creevy’s Welcome To The Punch. Filming began today, and the film also stars James McAvoy, Mark Strong, Peter Mullan, Mark Strong and Andrea Riseborough. More information can be found at ScreenDaily. 12-07-2011 - New Tintin Trailer! A new, longer trailer for Tintin has now been released, and you can watch it over at Empire. There is a quick glimpse of Danny's character, Allan, at around 1:19! See the screencap below for a capture. 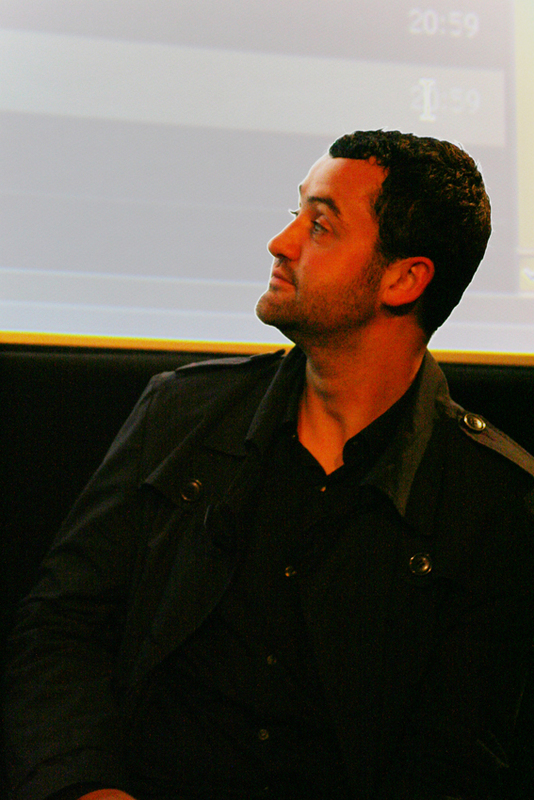 Curtis Brown, Danny's agents, have added the lead role of BBC's Public Enemies to Danny's page, so it can be assumed that the role is now confirmed! We are very excited about this news! An unconfirmed casting rumour has appeared online today that links Danny to the role of Eddie in a new three-part drama on the BBC, called Public Enemies. You can view the casting information at The Television Workshop. 18-05-2011 - First Cap of Allan from 'Tintin'! 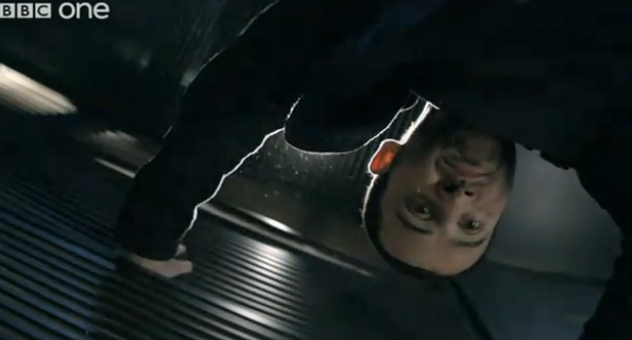 Thanks to the lovely LadyM for pointing out that Allan IS in fact in the trailer! 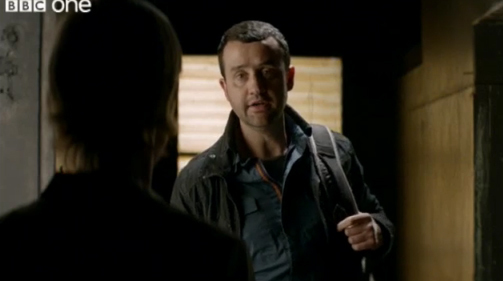 The screencap of him is below, and Allan is on the right. 17-05-2011 - 'Tintin' Poster & Trailer Unveiled! Two posters and a trailer have been released today for 'Tintin: The Secret of the Unicorn'! The motion capture looks amazing, and the combination of directors, producers and cast are very exciting! 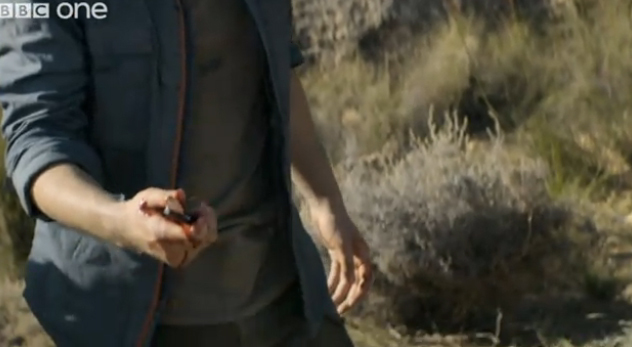 As far as I can tell, Danny's character Allan doesn't appear in the trailer. You can view the trailer here and the two posters here! The wonderful owner of Rachael Stirling Online, Bonnie Gough, and Rachael Stirling herself, are launching a charity auction to raise money for the Too Many Women campaign for Breakthrough Breast Cancer. Up for grabs will be props, scripts, DVDs and signed memorabilia from BBC's Tipping The Velvet, which our very own Danny Mays also had a part in! 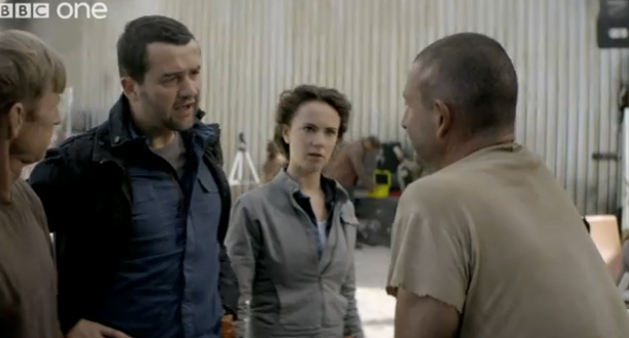 There are also donations from Fiona Button, who starred alongside Danny in an episode of Outcasts recently. This is a very worthy cause, and also a great chance to get your hands on some special items! The auction starts on Wednesday 18th May at 7.30pm GMT. You can visit Rachael Stirling Online for details of the auction items and for more info. The ladies at DMF HQ saw Moonlight at the Donmar Warehouse last week, and we all loved it very much. Danny gave a fantastic performance as Jake, as did the rest of the cast in their respective roles. We hope that the rest of the run goes as well for them! There are still tickets available for certain dates. You can call the Donmar box office on +44 (0)844 871 7624 or visit the website for more information. Tonight was the press night for Harold Pinter's Moonlight at the Donmar Warehouse! What's On Stage have released photographs of the cast and the audience from the evening on their website and there are a few lovely ones of Danny. Click here to view the photos on the website! Moonlight opened at the Donmar Warehouse tonight! I think tickets are now sold out online, but it is possible to queue at the door at 10am every day of the performance for limited tickets. Team DMO would like to wish Danny and the rest of the cast a very good luck for tonight, and for the entire run of Moonlight. There is a nice interview with Danny on This Is London today about his role in Moonlight and a glimpse into future roles. There is also a very nice picture to go with the article. 04-04-2011 - Outcasts On DVD & Blu-Ray Today! BBC Outcasts was released on DVD and Blu-Ray today! If you haven't got your copy yet, you can head over to the Shop and order it from Amazon. 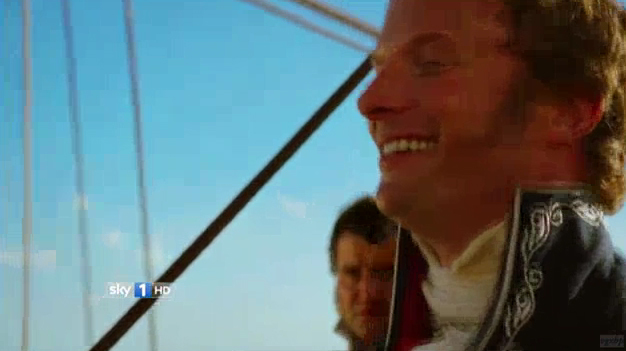 Sky have released a trailer for upcoming 2011 TV shows, including a couple of clips from Treasure Island! 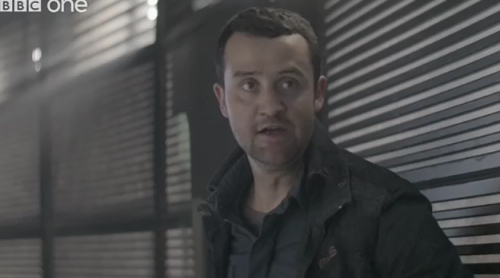 There is a blink-and-you'll-miss-it moment of Danny as Doctor Livesey at around the 38 second mark. 31-03-2011 - Happy Birthday Danny! 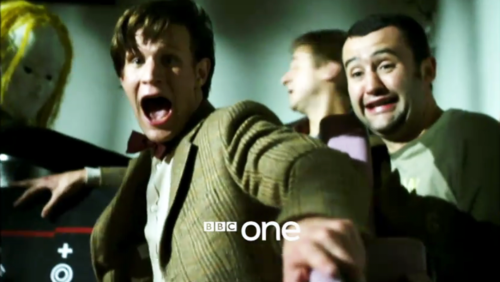 29-03-11 - Doctor Who S6 Trailer Online! 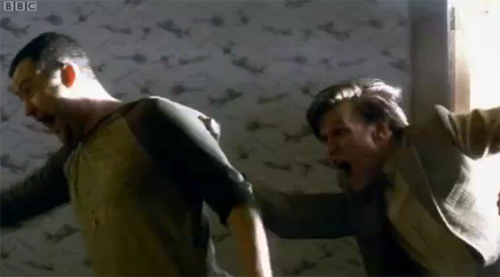 The trailer for series 6 of Doctor Who is now being shown! 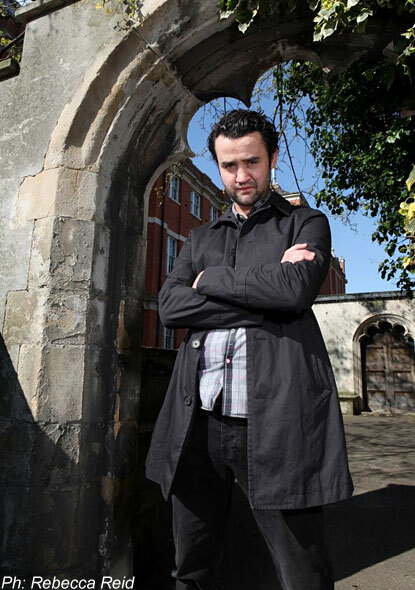 Danny guest stars in Mark Gatiss's episode, which is still unnamed, though it is said that it will be shown in the second part of this year. 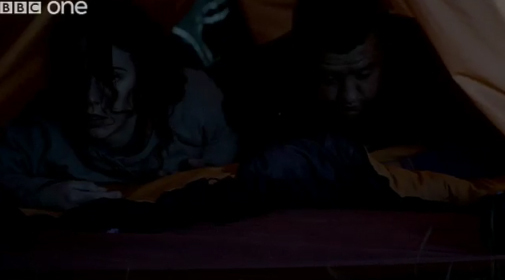 Danny appears very briefly in the trailer at around the 36 seconds mark! You can view the trailer here or below! 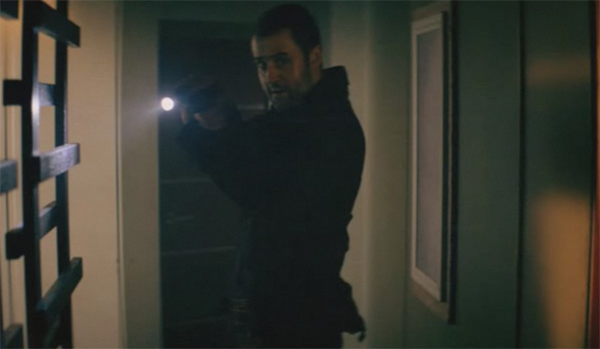 And here is a screencap from the trailer! Looks very scary and exciting! -------28-03-2011 - Made In Dagenham on DVD today! Nigel Cole's Made In Dagenham was released on DVD and Blu-Ray in the UK today! Danny plays an important part in the movie as Eddie O'Grady, Rita (Sally Hawkins)'s husband. The movie is inspiring and heartwarming and features a stellar British cast. You can visit the shop to buy the DVD on Amazon! The DVD and Blu-Ray is released on the 29th March 2011 in the USA! 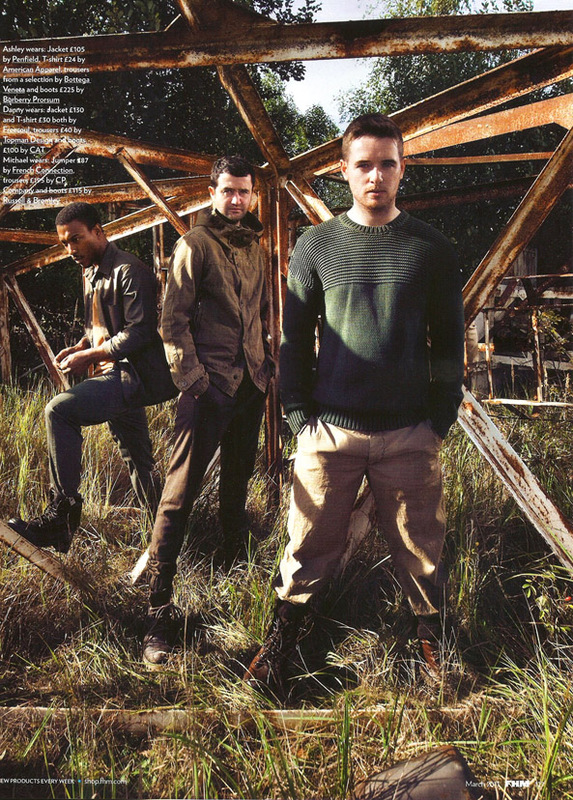 There was a small feature about Outcasts in the March edition of FHM magazine, with three lovely pictures of Danny, along with his co-stars Ashley Walters, Jamie Bamber and Michael Legge. There is also a short interview. You can click on the thumbnails to see the scans, or you can view even bigger versions in the Gallery! It's the final episode of Outcasts on Sunday! It's been an amazing series, and Team DMO will be very sad to see it end! 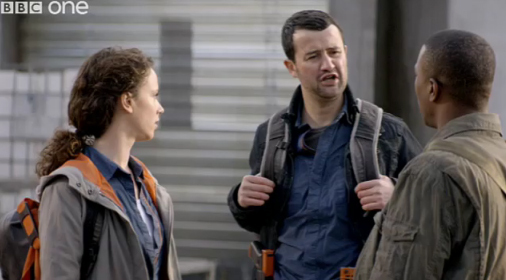 Here is a preview of episode 8 on the BBC Outcasts website, which features Cass! CBGActors tweeted this morning that Danny started rehearsals for Harold Pinter's Moonlight today, leading up to the play, which begins on 7th April! Team DMF wish him the best of luck with his rehearsals! More info on Moonlight can be found on the Donmar Warehouse website. 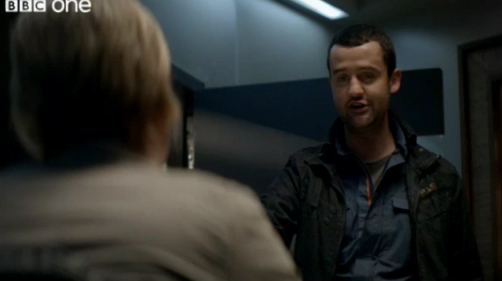 The Daniel Mays Online Gallery has been updated to include Cass Cromwell screencaps from BBC Outcasts episodes 1 to 4! Episode 5 will be up ASAP! Unfortunately, due to falling ratings, Outcasts will be moved to Sunday evenings after Episode 5 on Monday 21st Feb. You can read more about the decision over at Digital Spy. Team DMF urges everyone that has been watching Outcasts to keep on supporting the series in its new timeslot and we hope that you continue to enjoy it as much as we are! 12-02-2011 - Outcasts DVD Pre-order! BBC Outcasts is now available to pre-order on DVD from Amazon! It is to be released on April 4th, 2011. Go to the Shop to pre-order your copy! What did everyone think of episode 2 of Outcasts? Definitely stronger than the first episode, though not quite as much Cass in this one. Very exciting! Danny is on top form in this series. Come and join in the conversation on the forum! BBC Outcasts have uploaded a teaser clip for Episode 3, which looks very scary, and utterly heartbreaking! We hope that Cass comes out of that whiteout safely! 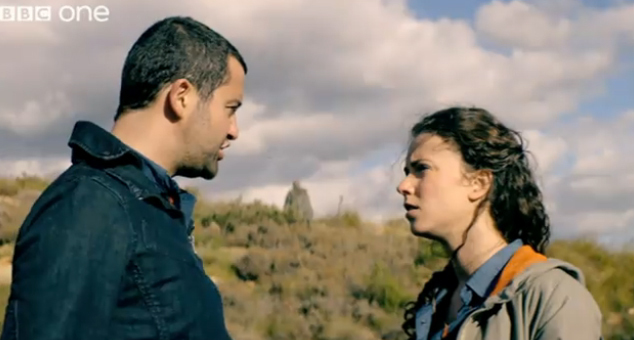 A great video with Danny and Amy Manson talking about Cass and Fleur's relationship has been uploaded on the BBC Outcasts website! Click here to watch the video! I have made some caps of Danny as Cass from episode 1 and they are now up in the Gallery! Well, Outcasts episode one has aired! What did everyone think? We LOVED it, and can't wait for episode two tomorrow night! Cass is such a brilliant character, as are all of the others! Come and join us in the forum and chat about Danny and Outcasts! 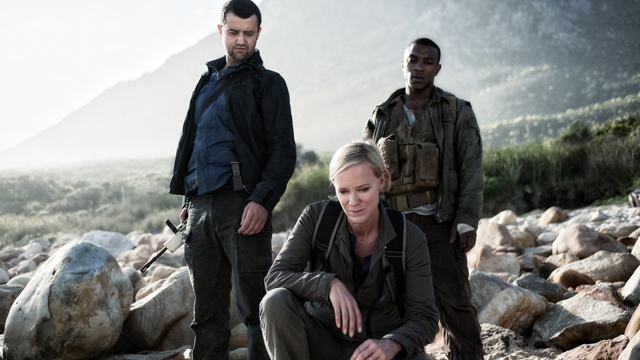 ITV's Daybreak showed a short clip of an interview with Danny and Hermione Norris on the set of Outcasts this morning. Unfortunately, the end of the clip on YouTube is missing - I will try and find another one! "Are we all Outcasts?" - Ian Wylie has posted a lovely interview with Danny about Outcasts on his blog, with videos and pictures. Also, Danny was featured in 'Buzz' magazine (a supplement in The Sun newspaper) today, with a short interview and arcticle about Outcasts. Tipper Malone (Michael Legge)'s video profile is up on the BBC Outcasts site and it contains a couple of quick glimpses of Cass! See the screencaps below! Another new video interview with Danny is now up on TV.com, again with Danny talking about his role as Cass, but this time a little more in-depth. Click here to watch the video! SFX have uploaded a video interview with Danny about his role as Cass Cromwell in Outcasts on their site! You can view the video below, or click here to see it on the site. There is also a video featuring Michael Legge, who plays Tipper Malone in Outcasts. Jack Holt (Ashley Walters)'s video profile has been uploaded on the BBC Outcasts page! Cass is in it twice briefly. See the screencaps below for a quick look! BBC Outcasts have finally announced the air date of the first episode! It will be on Monday 7th February at 9pm on BBC1, followed by episode two on Tuesday 8th February! The first two episodes are airing close together as they are almost a two-part story. Team DMO can't wait to see Cass in action! Mitch Hoban (Jamie Bamber)'s video profile is also now up on the BBC Outcasts site! Cass appears near to the end. See the screencap below for a quick look! 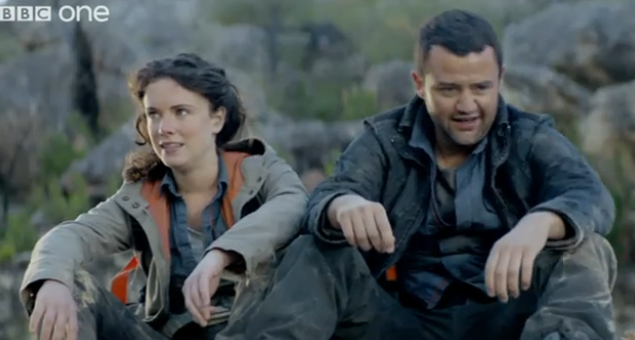 Fleur Morgan (Amy Manson)'s video profile has been uploaded on the BBC Outcasts page! It contains a little bit of Cass! See the screencaps below for a quick look! 21-01-2011 - NEW Cass Video & Outcasts Press Pack! 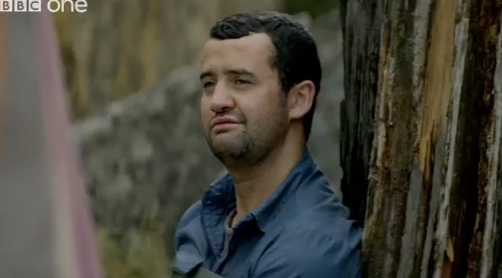 The BBC Outcasts page has been updated with a brand new full video of our boy, Cass Cromwell! He looks like such an amazing character - strong, handsome and a bit of a joker. ;) See the screencaps below for a quick glimpse of the video. The BBC Press Pack has been updated with interviews for each member of the cast, including Danny! Click here to read his interview. Exerpt: If you were chosen to go to another planet, what three things would you take with you? "I'd have to say my iPod; photographs for memories, and the new bed I've just bought. God, that sounds really boring!" Not at all, Danny - we agree with your choices! There is also a new official Outcasts Facebook page with a brand new picture of Cass! For copyright reasons I cannot post it here, but you can see it on the official page. 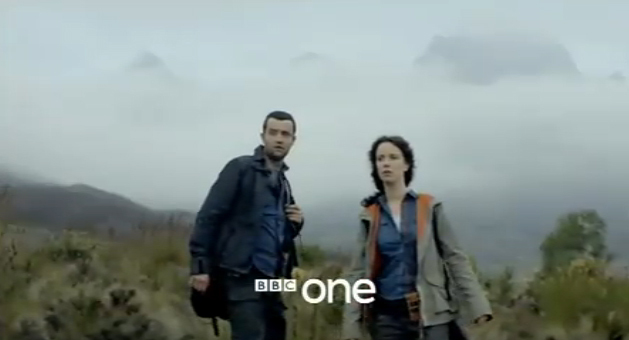 16-01-2011 - BBC Outcasts Trailer on YouTube! 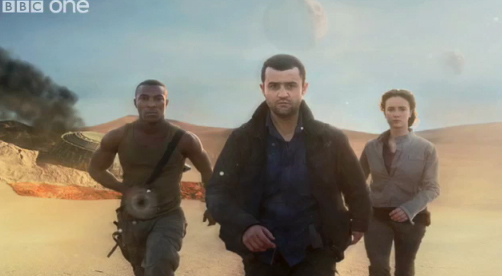 The new 41 second BBC Outcasts trailer has now been released online! Come and discuss what you think of the trailer on the forum! They are currently showing the long trailer for Outcasts on BBC One! Keep your eyes peeled! I am trying to find the trailer online and will link it here when I do. Outcasts looks very exciting! 13-01-2011 - More Outcasts News! There was a press screening of BBC's Outcasts in London last night, and there are a few reviews popping up around the internet! I will keep adding them as I find them. 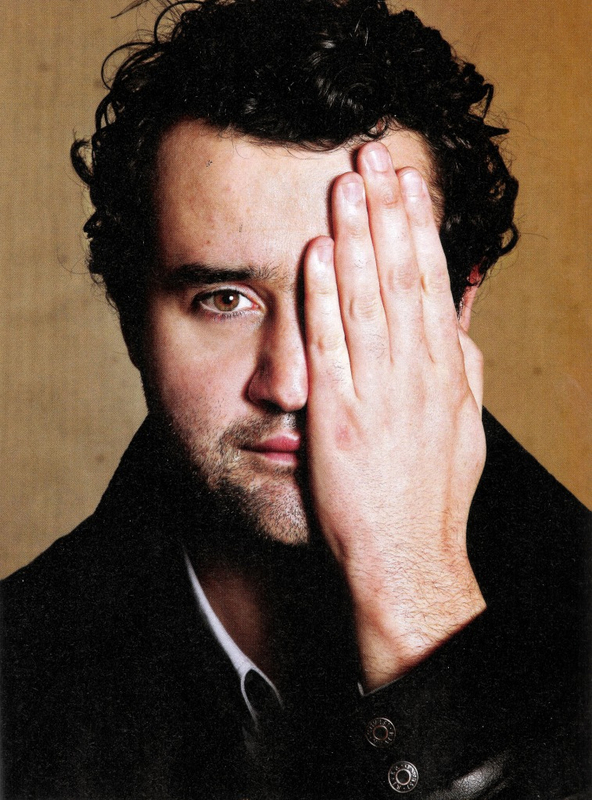 Happy New Year from Daniel Mays Online! 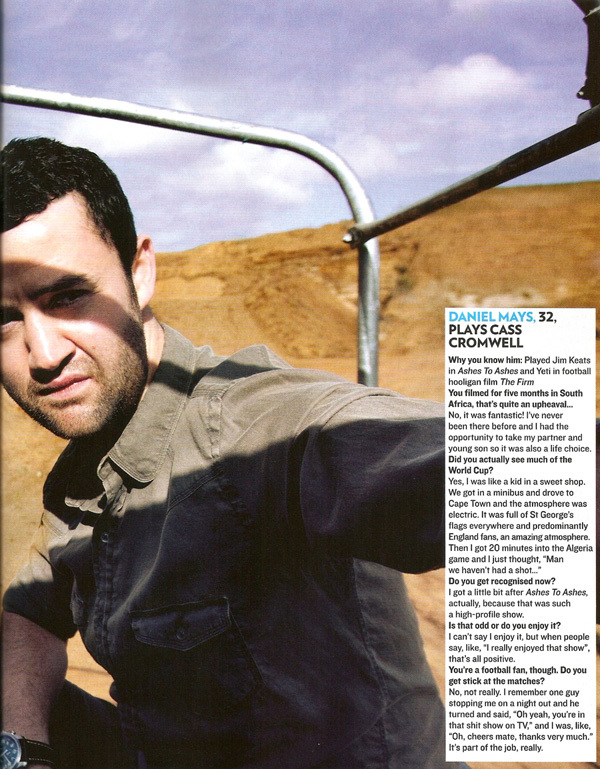 There is an article about Outcasts in the March 2011 issue of SFX, and a new picture of Danny as Cass Cromwell inside! You can read the article by clicking on the links below, or by heading to the Gallery and looking in the Outcasts section. The BBC One 2011 Promo video has been released on YouTube and it has some Outcasts content, including a few seconds of Danny as Cass Cromwell! You can view the video here! 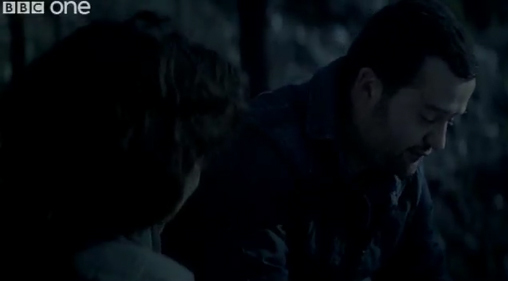 Below is a screencap of the brief Cass moment! Click on the thumbnail to enlarge! Merry Christmas from Team DMO! Hope you all have a great weekend! UK fans! Atonement, which features Danny in the role of Tommy Nettle, is on ITV1 tomorrow (19th December) at 10.15pm! Make sure you tune in! Sky have posted a lovely interview with Danny about his favourite Christmas moments and his most recent roles on their website! Click here to read the interview! 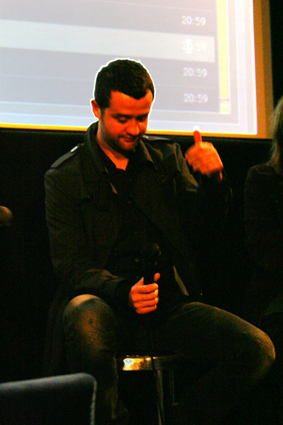 27-11-2010 - The Caretaker on Radio 4 Today! Don't forget to tune in to Radio 4 at 14.30pm today to hear Danny play the character of Mick in Harold Pinter's The Caretaker! Listen here! 25-11-2010 - Treasure Island & Outcasts! Exciting news! It was announced today that Danny will take on the role of Dr Livesey in Sky's new drama, Treasure Island! He will appear alongside Eddie Izzard and will be reunited with Philip Glenister once more! More news as it is announced! 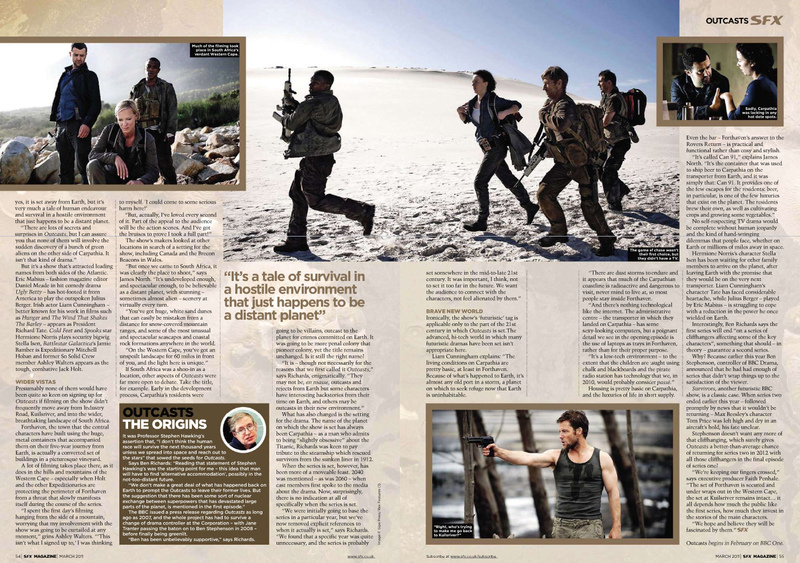 Outcasts is due to hit our screens around the end of January / beginning of February! Exact date coming soon! Danny will be going back on stage in 2011 for the production of Harold Pinter's 'Moonlight' at the Donmar Warehouse! Directed by Bijan Sheibani (making his Donmar debut), the stellar cast includes David Bradley and Deborah Findlay. In Pinter’s tragicomedy of family dysfunction, premiered at the Almeida in 1993, Bel attempts to reconcile her dying husband Andy with his estranged sons. Tickets are open to the public on November 29th 2010. Click here for more details and opening info // Click here for more info about the play! 18-11-2010 - New 'Outcasts' Still! A new 'Outcasts' still of Cass Cromwell has been released! Click the thumbnail for a bigger size! Danny is playing the character of Mick in a radio adaptation of Harold Pinter's play, The Caretaker on BBC Radio 4, Saturday 27th November from 2.30pm - 4.00pm. More information at BBC's Press Office. Made In Dagenham opens in New York & Los Angeles cinemas on November 19th! Watch the new US trailer here! Writer of 'Outcasts', Ben Richards has given an interview in Collider about the upcoming series and there are a couple of mentions of Cass Cromwell! Read the interview here! 05-10-2010 - First 'Cass Cromwell' Pics from 'Outcasts'! 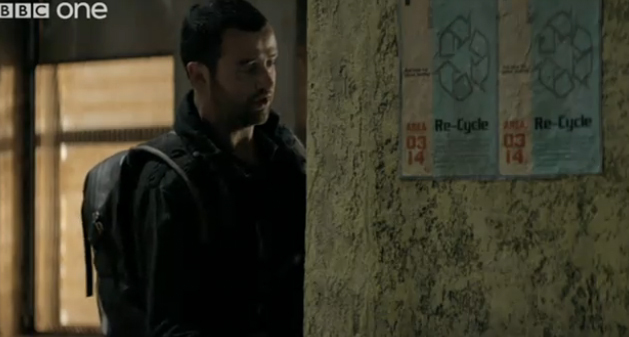 The BBC have released a press reel of upcoming shows, including a few glimpses of 'Outcasts'! 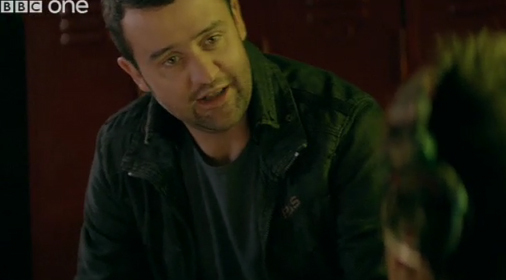 Watch the reel here and look out for Cass (Danny's character) at around 2:07! 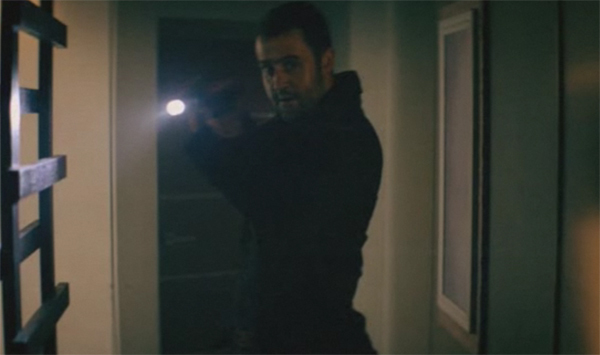 It looks like he's holding a gun and a torch! 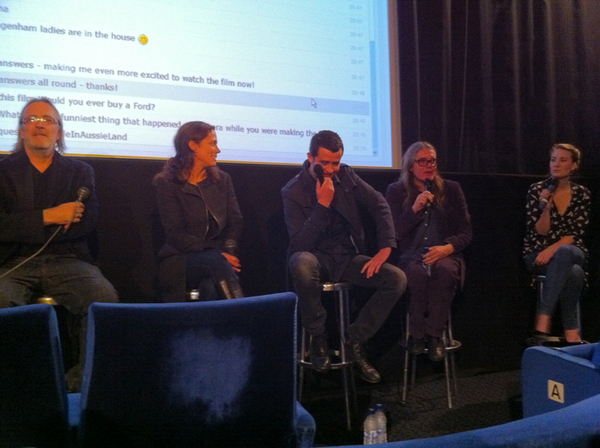 Here are some photos of Danny at the LoveFilm 'Made In Dagenham' Q&A screening on the 28th September. Thanks to E for the pics! There is a great interview with Danny about Made In Dagenham at IndieLondon! Daniel will be appearing at the LoveFilm Made In Dagenham Q&A tonight! There is an online chat which follows the Q&A and encourages audience participation! So if you have a question for Danny, make sure you log into the CHAT at 8.30pm GMT+1. Daniel is also appearing on 'This Morning' talking about his role in Made In Dagenham tomorrow morning (Wednesday 29th Sept) sometime after 10.30am. Photos and videos of the Made In Dagenham premiere have been appearing across the internet! Danny was in attendance and looking very dapper indeed! View an interview here, and another from the fan's POV here! Pictures of the premiere are up in the Gallery! Danny was spotted at the filming location for episode 4 of Doctor Who Series 6! See the photo here. Thanks to thenonexistence at Tumblr! 13-09-2010 - Vote For Danny! Go here to vote for Danny as Geeky Girls Love Sci-Fi's Man of the Month! 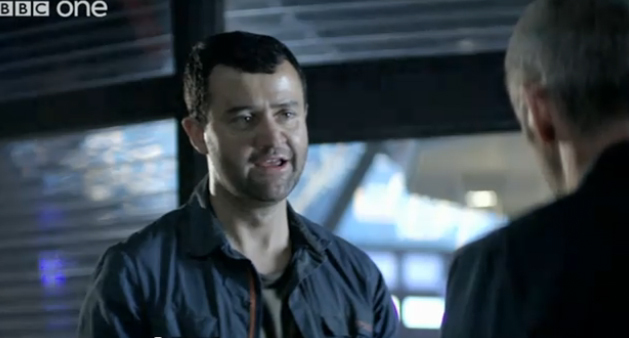 11-09-2010 - Daniel in Doctor Who? 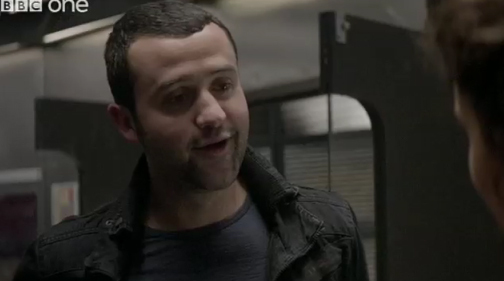 There are rumours floating around on Blogtor Who that Danny may be in the next series of Doctor Who! Very exciting news! Matthew Graham and Ashley Pharoah unveiled their new website Monastic Productions today, which included two scripts for Ashes To Ashes series 3! They are great to read as there are lines and actions by Jim Keats (Danny) that weren't included in the final episodes! Take a look at the scripts here! 07-08-2010 - Outcasts Info & Stills Released! 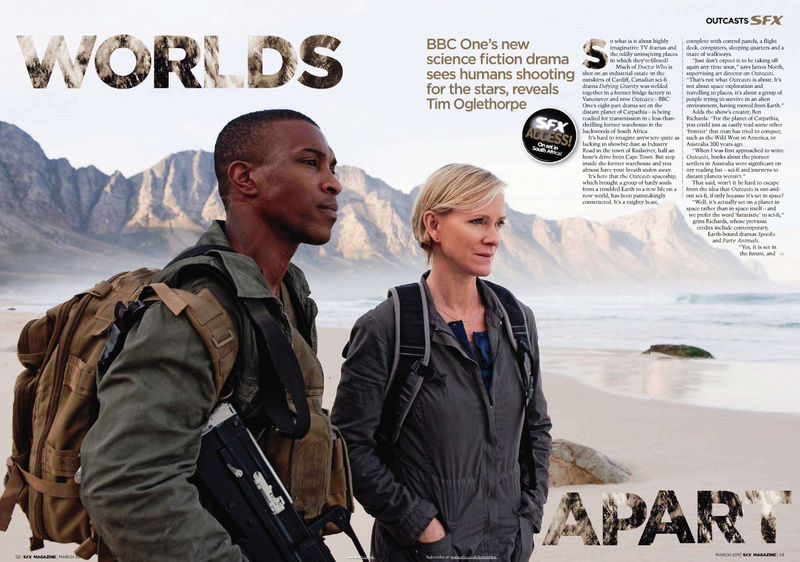 BBC America has released some more information and a few stills about Outcasts! 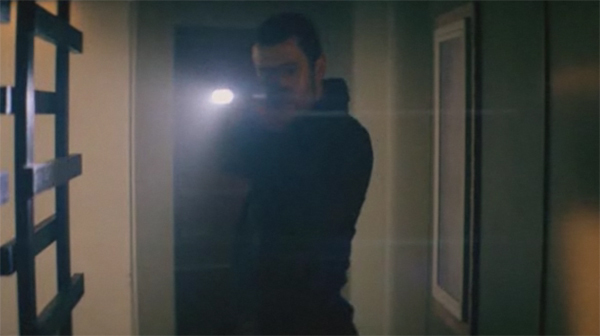 One of the stills features Danny (his eyes, at least!) To read the article and see the pictures, click here! 05-07-2010 - Ashes To Ashes S3 DVD Released Today! Ashes To Ashes series 3 is out on DVD today! Make sure you get your copy and see Danny at his finest as DCI Jim Keats! Daniel gave a short interview about Outcasts and the World Cup on GMTV this morning with co-star Eric Mabius! Thank you to Brinke @ TRA for uploading it! Watch the video here! The trailer for Danny's newest movie appearance 'Made In Dagenham' has been released! Watch him in it here! 21-05-2010 - The Sun - Galex Fans Hate Me! David Stephenson of the Daily Express posted an Ashes To Ashes interview with Daniel today. Find out what Danny thinks of Keats! Contains theories for the ending to A2A. 13-05-2010 - Meet The Outcasts!